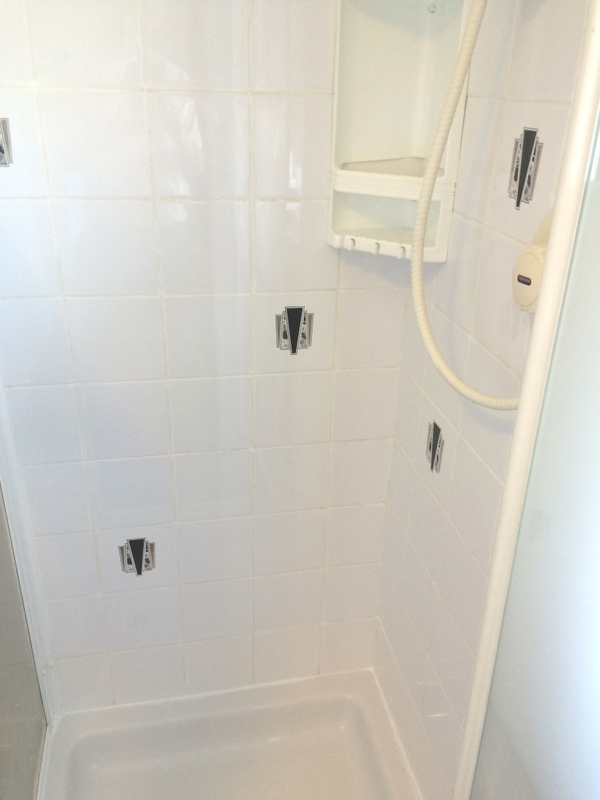 We often get asked to do bathroom refresh and end of tenancy tile cleans however it’s a good job I’m not squeamish as this ceramic tiled shower cubicle was in a bad way. 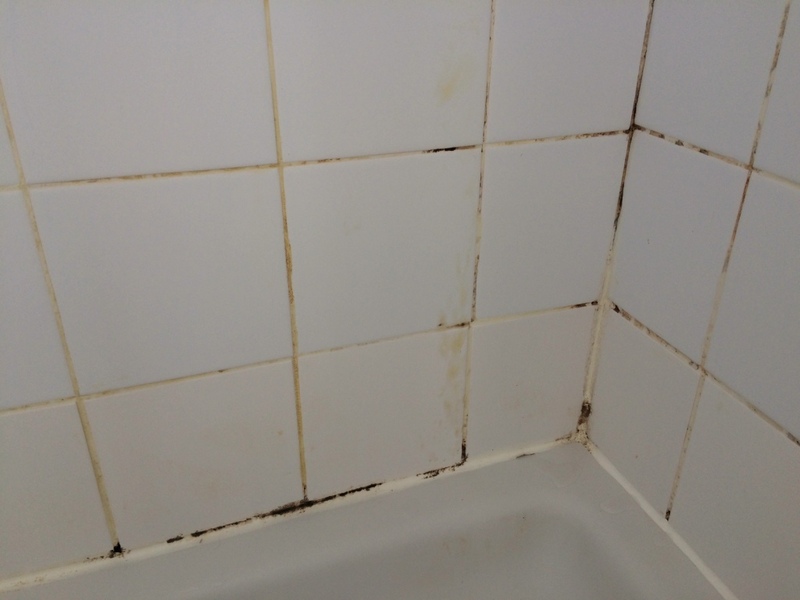 The property was in the historic village of Herstmonceux in the Wealden District of East Sussex and apparently it had been leased to students who it seems were averse to cleaning, no surprise there. 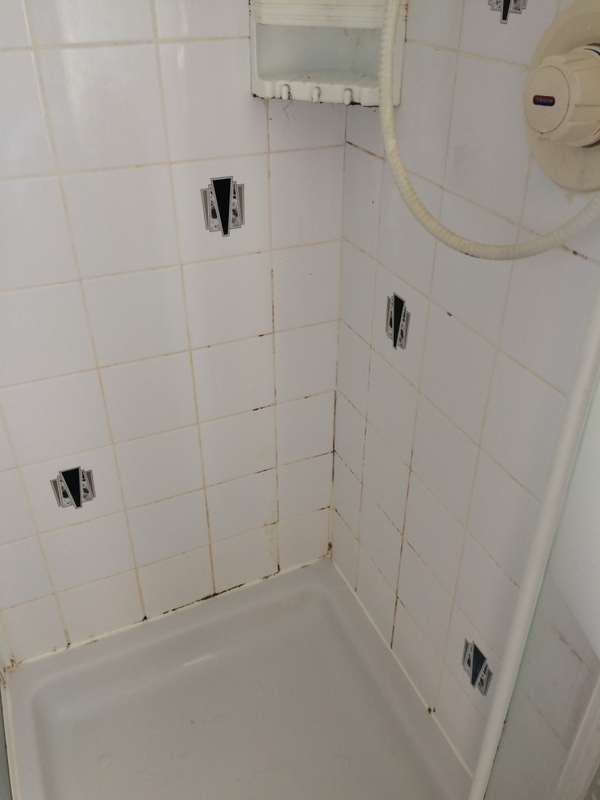 The first step was to remove the plastic product holder to expose the tile and grout, which revealed more staining and black mould. With that removed I sprayed the Tile and Grout with Tile Doctor Oxy-Gel which works better than liquid products as being gel based it sticks to the wall tile and grout and really gets to work breaking down the dirt. I left this for a few minutes before scrubbing it and then rinsing it off with water. I had a problem with a patch of grout which was beyond cleaning and concerned it was going to upset the whole job I raked out it and applied new grout. With the tiles now clean and fresh grout dried the next step was to apply a White Grout Colourant to ensure all the grout had a consistent appearance. Although time consuming the grout colourant is easily applied with a small brush and then you wipe off any excess that gets onto the tile. 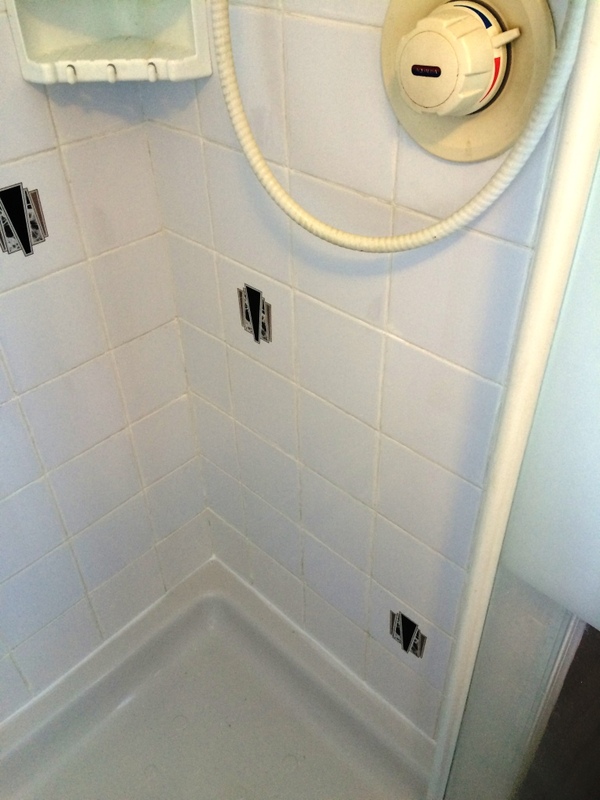 The next step was to strip out the mastic silicone sealant strip from around the base of the shower cubicle and replace with new. I used high quality silicone sealant that left nice lines and fresh look, don’t use cheap sealant as it will soon discolour and some have been known to shrink. 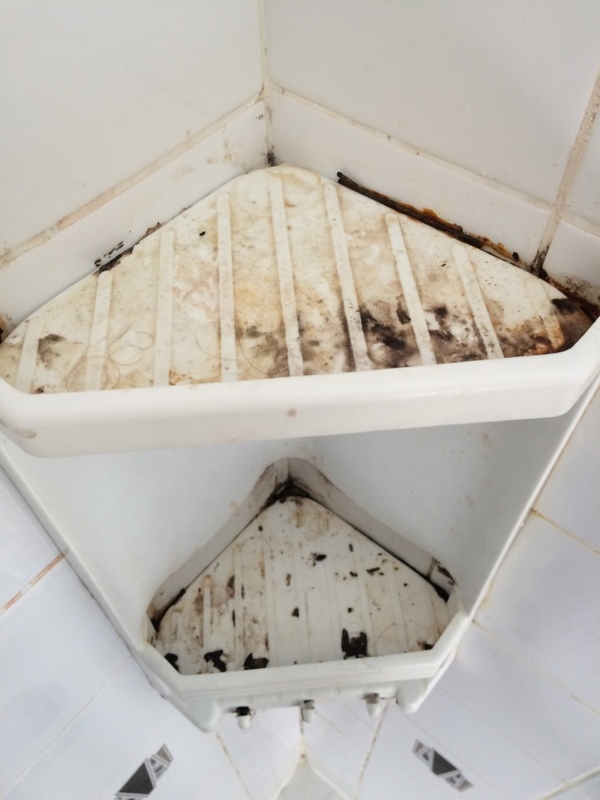 Last step was to replace the plastic product holder which had been cleaned. Quite a difference I think you’ll agree. 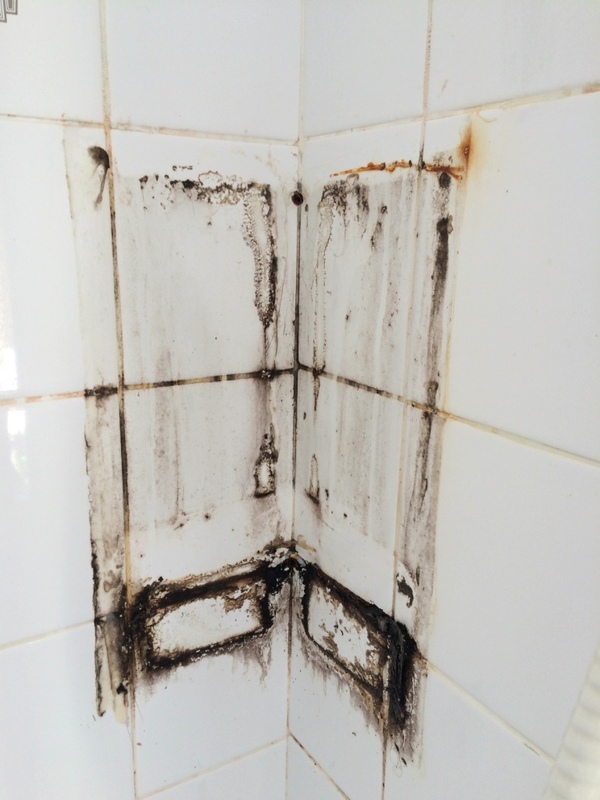 Future cleaning advice was left with the customer; I just hope he passes it onto the next tenant.